The process of evaluating employees is something your company needs to take seriously. If you don’t have the right evaluation document, consider downloading this one. It is ready for print, and it is easy to use. 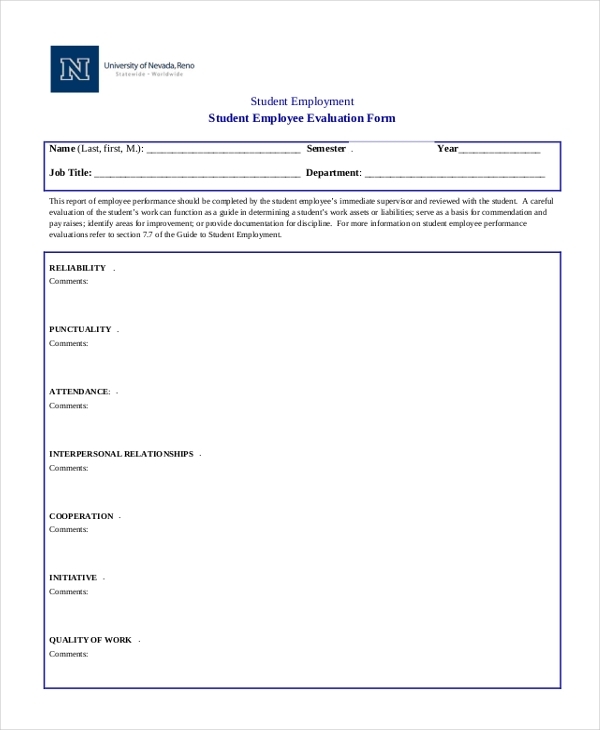 It is important to evaluate student employee to help them know whether they are on the right track in the workplace. 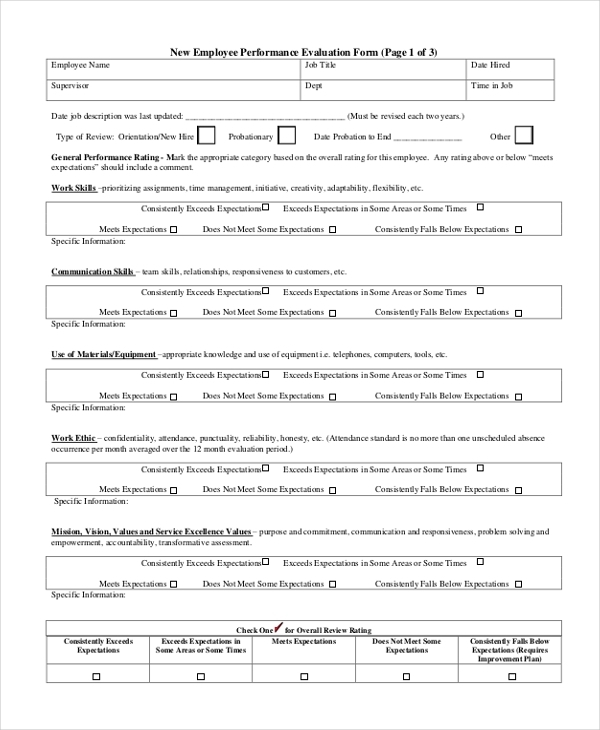 You can download this template for free, and use it to conduct the evaluation. A worker on probation is never sure whether they are doing their job right. The best way to give them a heads up about their performance is to evaluate them, and then communicate results. Your company should assess new employees after every thirty days. 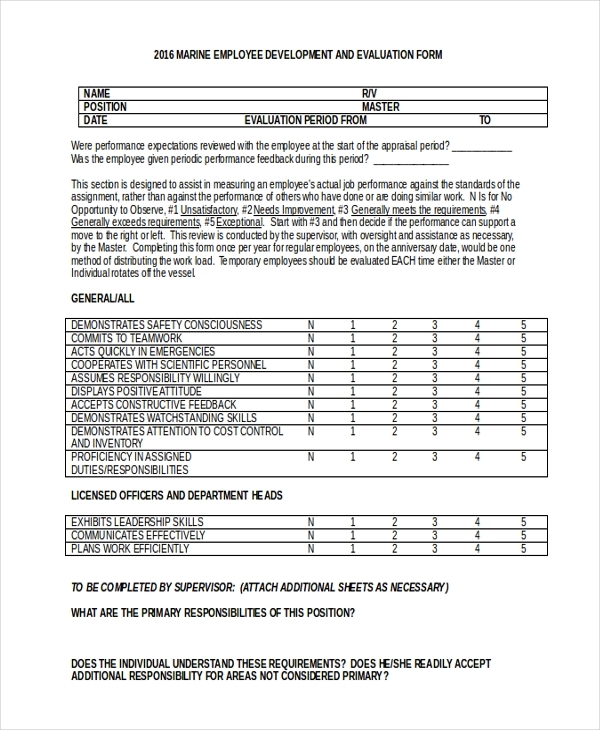 The employee evaluation template will help you record results, and then you can use the data to gauge performance of the worker. 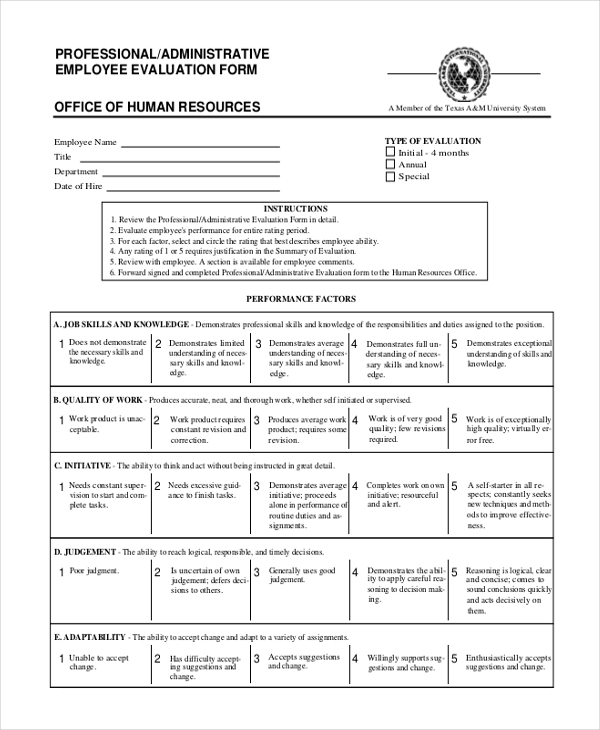 This is a general evaluation form, so you can use it to evaluate any employee, within a given period. You can use the template as is although it is possible to edit the form. 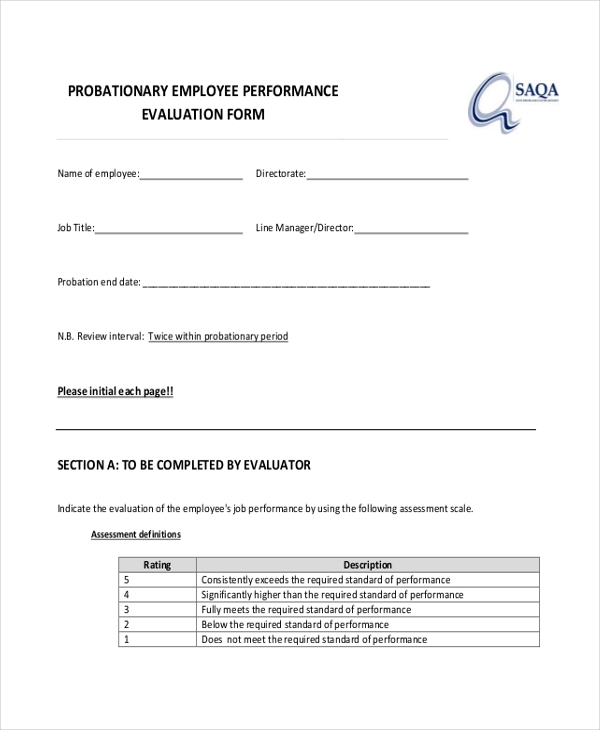 Sample Employee Evaluation Forms are free to download, and you can edit them if you want although they are print ready. The template help you save a lot of time because it takes the design work away. Working at sea requires hard work, patience, and great skills. Employees in the marine team must therefore undergo evaluation without fail. 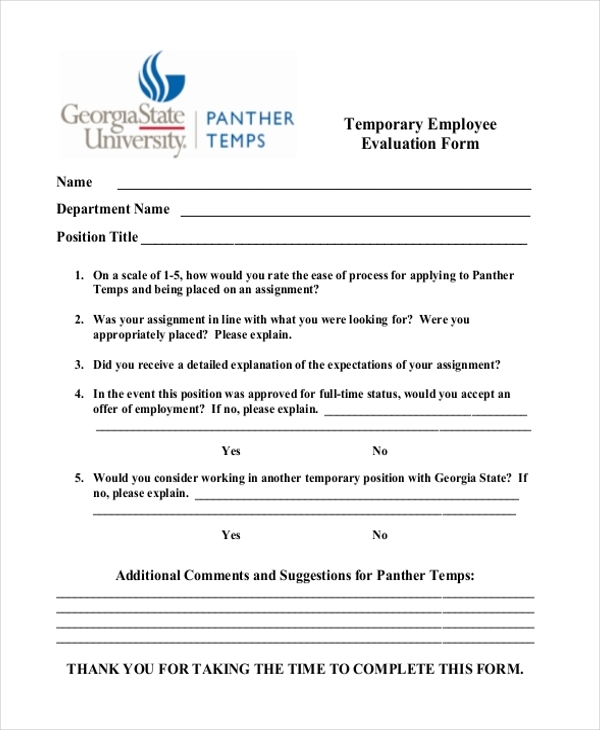 You can use this template for the evaluation process. 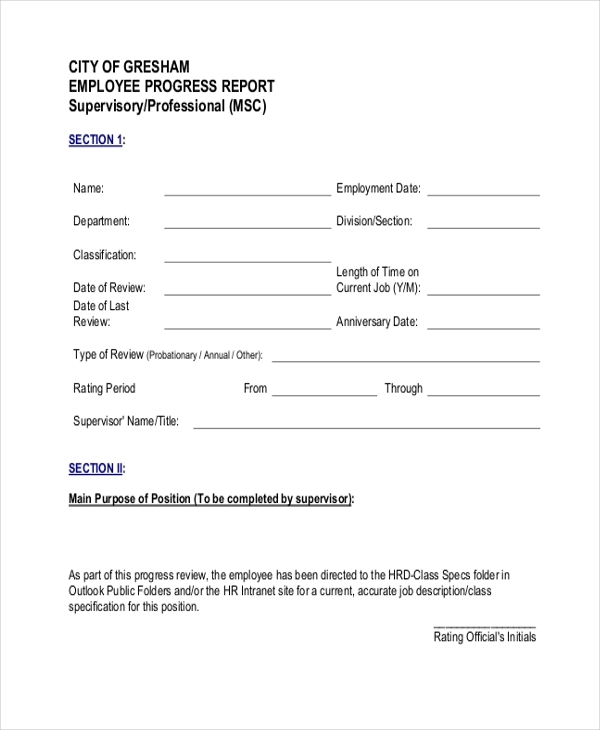 Are you looking for the best form for professional employee administration? You should download and use this form. The template is print ready, and it is quite easy to use. Employees taking care of children must go through the evaluation process because it is necessary for the management to understand its member of staff better. 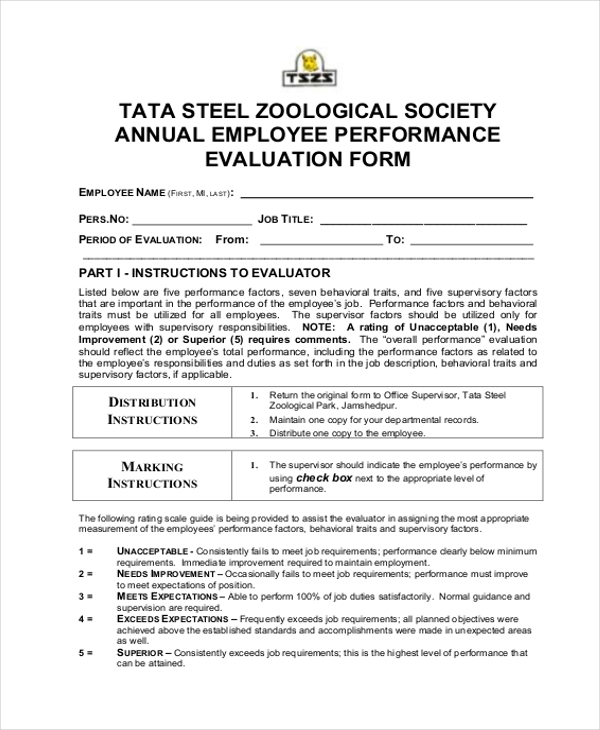 This form can help you conduct the evaluation. The form is suitable for those companies that conduct the appraisal process only once every twelve months. The data should give you a clear review of the performance of the employees during the year. What are the Benefits of Employee Evaluation? By conducting an employee evaluation, you get to know the levels of skills and the much effort the member of staff has put to work. The process also helps you to understand the weaknesses of an employee as well as the necessary approach the company can use to handle these weaknesses. What are the Drawbacks of Employee Evaluation? Evaluating employees is not a one-day or a one-hour job; employee evaluation is a continuous process that not only demands attention to details but also consumes a lot of time. It is important that you schedule enough time for the job, so that you complete the evaluation process within the specified period. It is important to understand that the need to extend the process may arise, and, as such, you should only give the entire process an approximate time limit. It is important to understand that it is not right to share the result of an employee’s evaluation with another employee. Instead, your company should keep the records of the appraisal in the files of an employee, and use them for the future reference in the case when the need for such data arises.